Hare and Bristle Salon is located above a curated vintage boutique, Petrune. Hare and Bristles' space offers and inspiring style that surpasses current trends, including a unique collection of artwork on rotation. The creative & peaceful atmosphere of Hare & Bristle is ideal for thoughtful conversation and precise hairstyling. 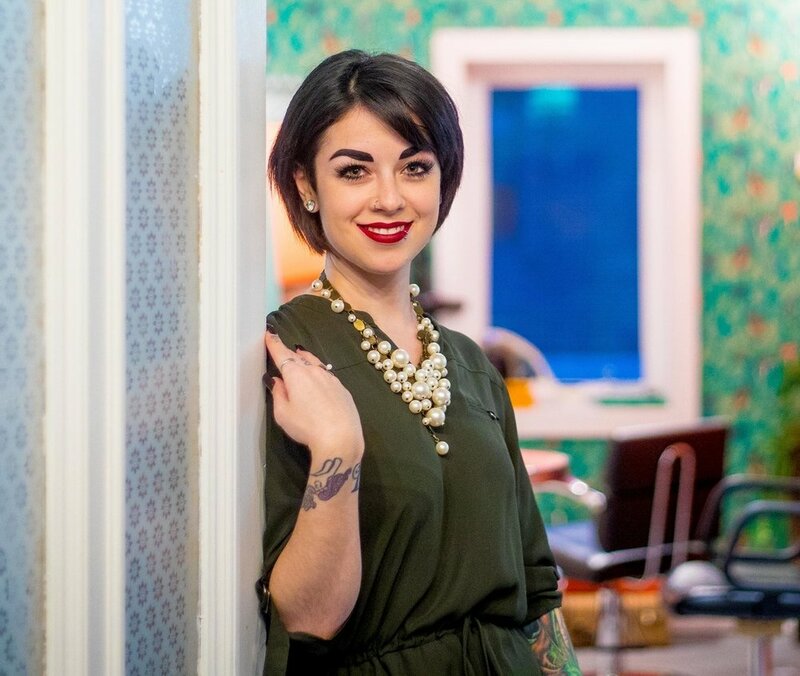 Hare and Bristle's cozy-vintage vibe paired with owner/stylist Danielle's easygoing personality is a match made in haircut heaven. Whether it's catching up on the latest style trends, sharing a laugh, or discussing your style goals, Hare and Bristle will be your haven for cultivation and innovation.